True to his nickname, Marc “The Machine” Lobliner simply doesn’t stop. 2015 has been a breakout year for the bodybuilder and MTS Nutrition, his supplement company. 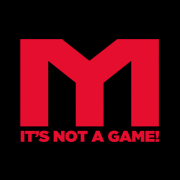 They’ve released a cavalcade of products ranging from new pre workouts, stim (MTS Ruckus) and non-stim (MTS Vasky), as well as a new whey protein isolate, Machine ISO, here to finally complement MTS Whey. 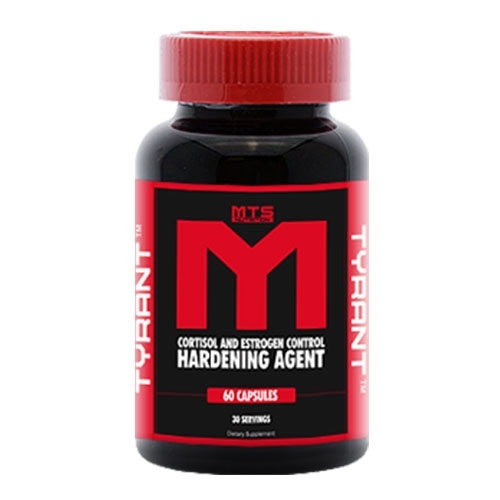 The next product out from Marc and MTS is geared towards getting your hormones in check. You can eat right and lift heavy, but if your hormones are out of whack, you might just end up spinning your wheels. To help mitigate cortisol and estrogen proliferation in the body, they’ve released MTS Tyrant. Like all MTS Nutrition supplements, there is no hiding behind pixie dust and prop blends. Everything is spelled out so you know exactly what you are taking and how much to really gauge if an ingredient is working for you or not. Tryant contains just 4 simple ingredients, highlighted by phosphatidylserine, that will reduce estrogen and lean you out. Phosphatidylserine, PS, is a fat-soluble amino acid derivative found in high amounts in fish. Frequently, it’s used as a cognitive booster and memory enhancer. [1,2] This is most likely attributed to the fact that high amounts of PS are located in the brain. PS also exerts some nootropic benefits as well, enhancing brain’s capacity to perform mental calculations. That’s not all though, PS also shows great promise when it comes to controlling cortisol levels in the body. PS supplementation helps reduce ACTH levels in the body, a hormone secreted by the pituitary gland. The primary function of ACTH is to regulate the steroid hormone cortisol. So, helping to lower ACTH results in lower cortisol production in the body, we as we all know is an incredibly catabolic hormone. So indirectly, you’re helping boost your body’s own anabolic capacity by making sure cortisol doesn’t run rampant. But don’t be surprised if you feel a boost of focus too. Many users take PS for that reason alone. Green tea contains a number of catechins, with EGCG being the most well-known and well-researched of those. Tyrant’s green tea extract contains 50% EGCG and 95% Phytosterols. Most often, green tea extracts are included in fat burning supplements due to EGCG’s role in promoting lipolytic actions in the body. [4,5] However, that’s not all it does. In general, this is here for overall health and a bit extra fat loss. Who exactly is Tyrant for? Anyone looking to lean out and get the quintessential dry, hard look. Diindolylmethane, DIM, is normally found in broccoli and other cruciferous vegetables like cauliflower. It’s frequently used as an aromatase inhibitor and estrogen blocker. The main bioactive compound responsible for DIM’s actions is indole-3-carbinol, I3C. Calcium d-Glucarate is a calcium salt of D-glucaric acid. It has been studied for its role as a strong β-glucuronidase inhibitor. While some studies have investigated its potential as an anticancer agent, more research is needed to qualify it as a successful ingredient in those treatments. 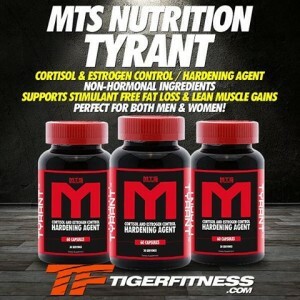 MTS advises to take 2 capsules per day with your last meal of the day. Additionally, there is NO need to cycle MTS Tyrant. The question: who is this mostly for? The question is who is this for? And, when should this be used? We get that this can be taken any time, but is there an ideal time to take it, like when prepping for a show to get that dry, etched look? Or should we just take it all the time? Also, what about coming off cycle and using this as part of post-cycle therapy (PCT)? It seems like we have more unknowns right now than knowns, and perhaps “The Machine” can clarify the intended user base a bit more. For now, though, this can be considered when you’re feeling “off”, unseasonably moody, or even a bit bloaty. Making gains isn’t always as simple as tracking your macros and increasing your weights. Sometimes there are unknown reasons why you’re stalling on your lifts or muscles aren’t growing. This leads us back to your hormone levels being less than optimal. Should you find yourself in this predicament, it may be time to invest in a hormone-regulating supplement. This will put your body in an anabolic state and help you become the Tyrant in the weight room you’ve wanted to be! No Comments | Posted in New Products, Supplement News | Tagged Calcium d-Glucarate, Cortisol, Diindolylmethane, DIM, EGCg, Estrogen Inhibitors, Green Tea, Marc Lobliner, MTS Nutrition, Phosphatidylserine.